1825HP C-32 Caterpillar Engines All Services Up To Date This 2007 64 Viking Enclosed Bridge with recently completed engine service is fully loaded and truly a work of art. Whether you plan to fish tournaments or cruise she is ready to go. Bad Intentions has allthe options, including 2 Eskimo ice chippers in the fishboxes, Mezzanine A/C, a full electronicspackage and a four stateroom layout with a queen berth forward. Her 2,200 gallons of fuel and a large,comfortable enclosed bridge will get you to the offshore grounds in exceptional comfort and style. 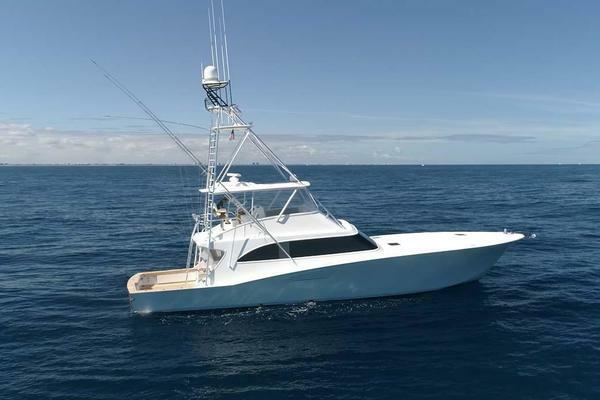 United Yacht Sales New Jersey would love to guide you through a personal showing of this 64' Viking Enclosed Bridge 2007. 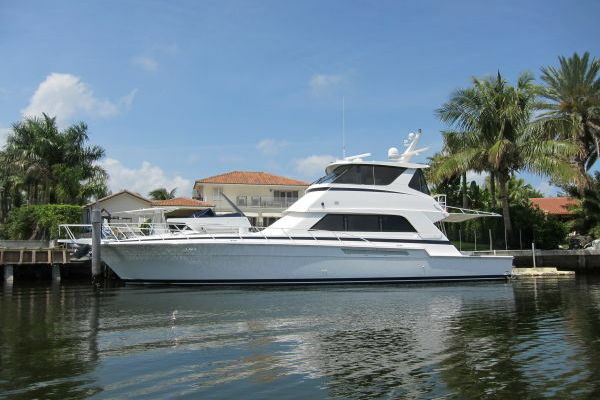 This yacht for sale is located in Pensacola, Florida and priced at $1,549,000. For a showing please contact us by filling out the form on this page and we will get back to you shortly! Entering the Salon you will notice an L-shaped sofa and two bar stools at the galley countertop. A U-shaped dinette is to starboard. Counter tops in the galley are granite. To the starboard is one guest stateroom with side by side berths and just forward is a third stateroom with upper/lower bunk berths. To port is the midship master stateroom with a diagonal queen berth and private head. Forward is the guest stateroom with centerline island queen berth. There is a stacked washer/dryer in the companionway and linen storage closet.